Maintaining healthy eyes for a lifetime is easy when you come to Dr. Rod Kaufman, Optometrist, Inc. in Syracuse, Indiana, for your vision care needs. From glaucoma testing to eye exams, we do it all to ensure the health of your eyes. 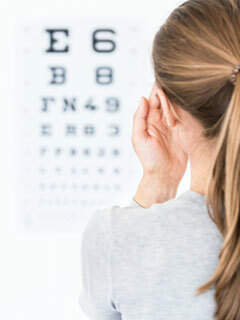 Proper vision care is a necessity, as it helps to identify vision problems and other health issues. Do the best thing for your eyes and visit our center, where you'll receive top-quality vision care services to ensure you see clearly for a lifetime. At Dr. Rod Kaufman, Optometrist, Inc., we're committed to providing you and other patients with the highest quality care. That's why our office is equipped with the latest technology to ensure you receive that and more.